Longtime visitors to my blog probably remember my old Daredevil parody web comic that used to have its own section while I was still hosting this site on Blogger. Since the move to WordPress in late September, I’ve been meaning to put it back online again, but just never got around to it. This being the time of year to reminisce, I thought now was as good a time as any to bring the comic back to life. To those who are seeing it for the first time, I hope you enjoy it! 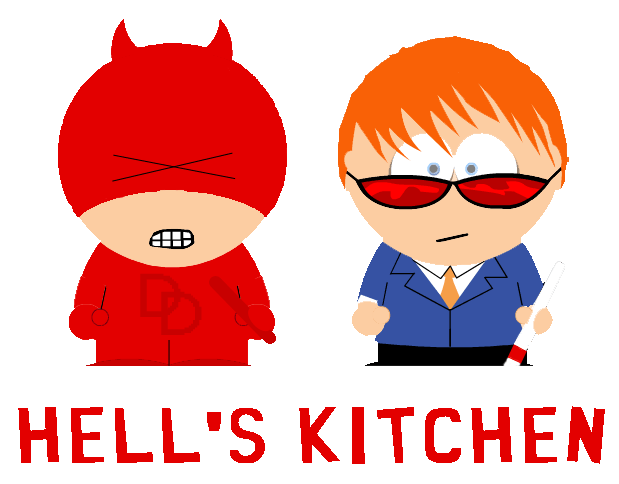 Head over to the Hell’s Kitchen page to check it out. Seriously, guys, go check this comic out. She’s done a great job, it’s full of laughs, and if you’re on this site you’re probably a Murdock fan, so you’ll be a fan of this. I’m with you. Best comic, based on a comic, based on a blind superhero, EVER! Aw, these comics are awesome. I’m so glad you brought these back. Old jokes are still funny when you encounter them for the first time! Brava!